One easy system to capture care, verify orders, and administer medication. MatrixCare CareAssist provides a Point of Care and eMAR system in one easy-to-use application. 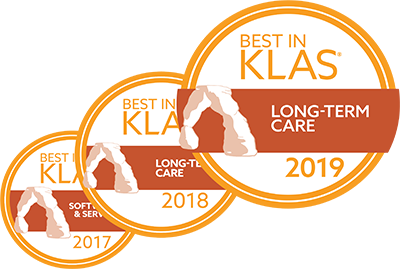 It allows for consistent delivery of resident-centered care, resulting in safer medication management and improved staff, resident, and family satisfaction. Designed with the needs of post-acute care in mind, MatrixCare CareAssist integrates with care plans to ensure resident-centered care. MatrixCare CareAssist helps increase the accuracy of prescriptions and streamlines communication with your pharmacy. Our intuitive system increases the efficiency of medication administration while decreasing errors by up to 70 percent. MatrixCare CareAssist is device and browser agnostic, allowing for care to be captured at the bedside. With real-time resident and service plan information at their fingertips, users can focus on the resident while recording accurate and reliable documentation. MatrixCare’s innovative strategy to provide both the facility and pharmacy with a tool that enables them to be more efficient and productive has the additional benefit of improving resident safety and reducing the facility’s level of liability, by reducing medication errors.